Pruning helps to maintain plant health by removing the dead, damage or disease plant tissue so that the plant maintains health and vigor. It helps to remove misshapen, crowded and rubbing branches and eliminates problems before plant damage occurs. Pruning helps to increase flowering and fruiting. When you prune, more flower buds will be formed for the following season if old flowers are removed when they lose their attractiveness, a practice called dead-heading. Pruning helps to train plants to a particular size or shape, including hedges and rejuvenates old, overgrown shrubs and restores plant density, shape and vigor. Trees and shrubs should be examined every year to determine if pruning is needed. Too many homeowners neglect their plants and fail to prune for several years. Shrubs, in particular, become overgrown and lose vigor. When this overgrowth occurs, heavy pruning or severe renewal pruning is needed to reduce plant size. Never hesitate to cut tall, fast-growing or unsightly limbs. Remember, if the terminal bud on a new shoot is lightly pruned, lateral growth will produce a fuller plant. It should also be noted that pruning is not advised if it is damp or wet outside. You will run the risk of spreading a lot of diseases. Also, the damp weather encourages microbes to grow at a considerably faster rate. This growth will wreak havoc on the pruning that you just completed. The ideal condition is a dry, sunny situation where the cut is clean, and the wound can heal correctly. The benefit of good pruning technique is that it allows more sunlight and air to filter through the trees and shrubs, so it’s important to focus first on removing dead or dying branches by cutting between the diseased spot and the main body of the plant. You should also prune when branches are rubbing or crossing each other, cutting the smaller of the two off. Taking off low hanging branches that interfere with foot traffic or lawnmowers is perfectly acceptable as with any branch that might be growing vertically. Always try to cut back to the main stem or body of the plant. Cuts should be made just outside the swollen branch collar, which is where wound healing begins. Take care not to damage the bark around the pruning cut. Don’t wiggle pruning tools to cut into a branch too large for the tools. Wrong-sized or incorrect tools will either leave jagged cuts or ruin pruning tools. Never leave a stub. Stubs produce weak stem suckers and provide a place for pests and diseases to attack. Do not paint or tar pruning cuts. Painting is an ineffective practice that does not provide any plant health benefit, interferes with the plant’s own wound defense system, and does not deter insects or diseases. Pruning is an essential gardening skill. When you prune correctly, you encourage healthy growth for flowering and non-flowing plants, trees, and shrubs. Regular pruning enhances the look and health of your garden. 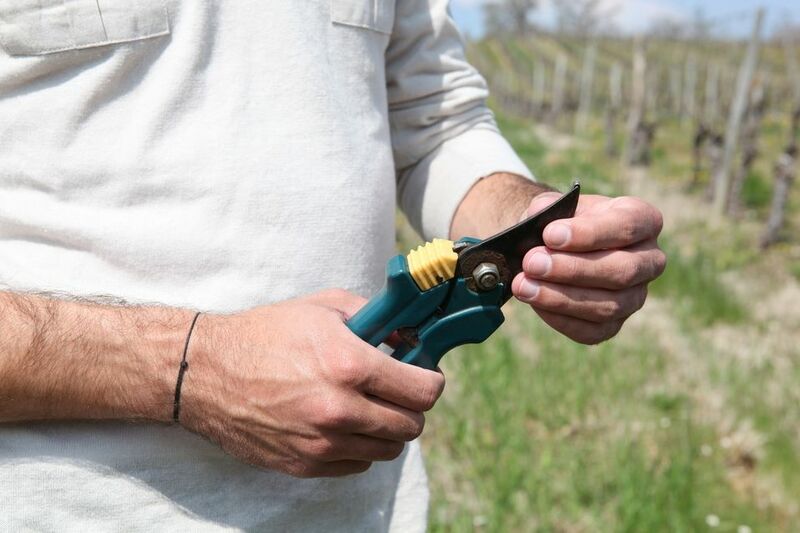 Always remember to use good pruning tools because it makes a difference to the life and health of your landscape. If you rather hire someone to maintain your yard, as well as prune your plants, count on Green Collar Landscaping. Located in Lynden Ontario, we serve the Brantford, Burlington, Hamilton, and Oakville regions.